OLD PARKED CARS. 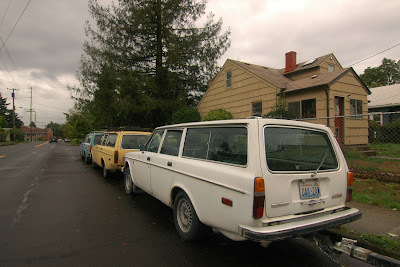 : Swedish Stocking Stuffers, Part 2 of 7: 1973 Volvo 145E. 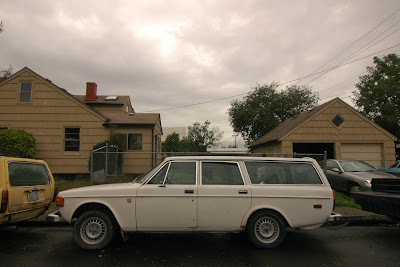 Swedish Stocking Stuffers, Part 2 of 7: 1973 Volvo 145E. 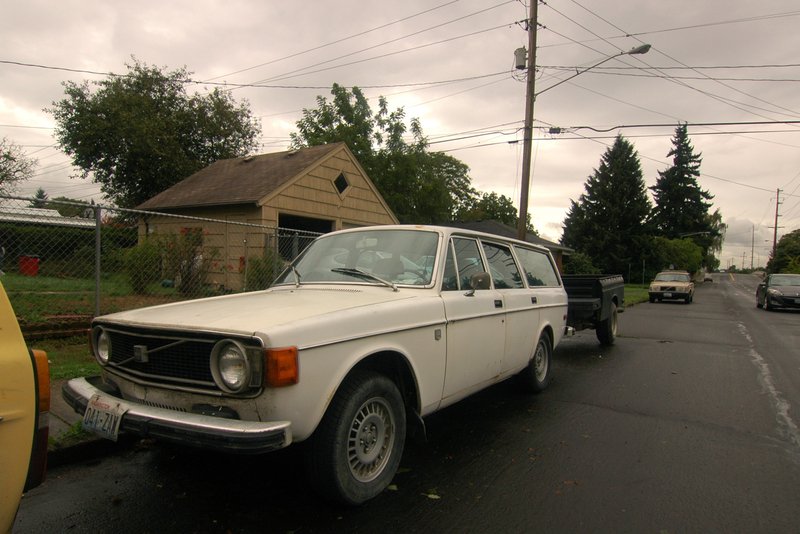 Sorry for being the department of corrections again :) but this is a 1973 145 wagon (the model numbers comprised of series/cylinders/doors). It's a one-year-only grille design for this final year of the 140-series. The 240-series debuted for 1974 with the slanted grille. Love the set of three here, especially the color palette from when non-metallics ruled! Wow. Four '73s. That guy loves him some D-Jet fuel injection. Never seen 242GT Rims on a 140 before. I couldn't get them to clear the dust shields on mine. Those 242GT wheels look great on this 145E. No this grilldesign was entroduced in autumn 1972 as yearsmodel 1973 the 1974 had the same grill but different bumpers and front doors and new gasdoor.